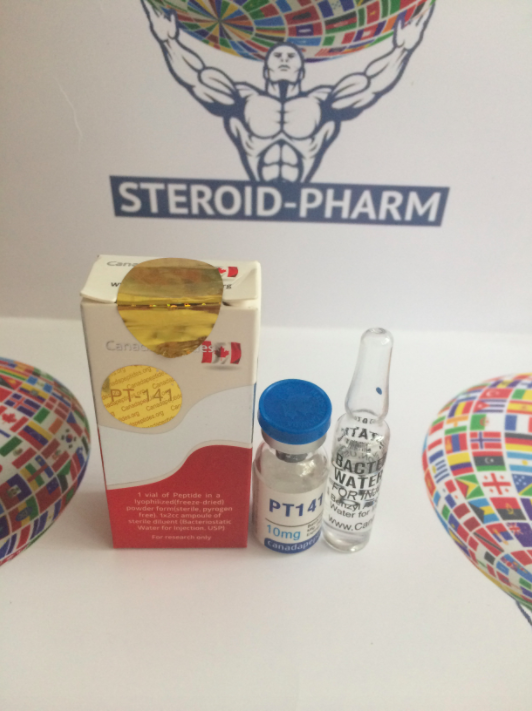 Peptide PT-141 - a powerful drug that treats sexual dysfunction in the male half. The drug directly affects the hypothalamus and does not affect blood pressure, as does Viagra. Bremelanotid is manufactured by Palatin Technologies. He is considered a metabolite of Melanotan-2. It stimulates the production of melanin, but the main function of the drug is to prevent erectile dysfunction and reduce libido. Bremelanotide is taken by men and women. In surveys, women confirm the effectiveness of the drug's effect on excitement and desire. The action occurs 2 hours after the injection. The greatest active action is observed after 4 hours. The responses of men say that they felt more young and energetic, they had a desire and excitement. PT-141 - a synthetic drug that affects the nerve endings, which are responsible for sexual activity, in contrast to the inhibitors, whose effect is on the receptors of blood vessels. This suggests that the drug not only increases the erection, but also stimulates it. strengthening the tanning of the skin. Injections are injected subcutaneously. Very rarely enter intramuscularly. Do not recommend taking the drug intranasally, which can increase the pressure. When injections are used, no such reactions are observed. The standard dosage of a single dose is 1 mg. The effect is seen after 2 hours, and the peak comes in 3-4 hours. The duration of activity of the effect is about 8-10 hours. Our specialists will help you choose the right dosage, tell you about the proper administration of the drug, which will give the most effective result without any side effects. You can buy the drug quickly by filling out an application with us. In order to avoid unpleasant sensations during the injection, it is recommended to leave it indoors for a while after removing the composition from the refrigerator. When its temperature is equal to room temperature, fluid is injected inside (it is necessary to buy saline for injections). Mixing should occur rotational movements, but do not shake the bottle. After preparation, the liquid composition can be used for 2-3 weeks without the need for freezing. 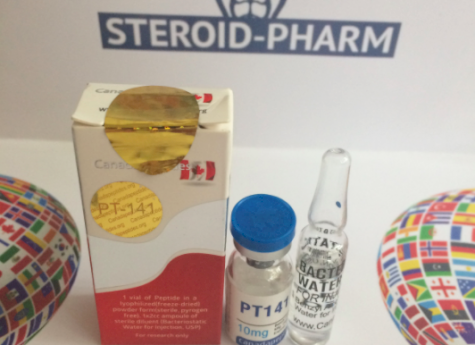 It should be noted that the use of saline increases the shelf life of PT-141 to one month. Freeze and thaw the ready-made solution is not recommended. For convenience of use, it can be pre-dialed into syringes. This greatly simplifies the storage task. Activate sexual function, prevent the appearance of impotence, frigidity. Get rid of various sexual dysfunctions, with no harm to health. Prevent the occurrence of sexual disorders, affect the centers of sexual arousal directly, through the hypothalamus. To activate the synthesis of melanin.